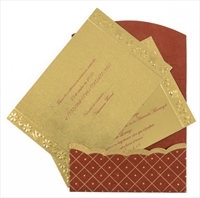 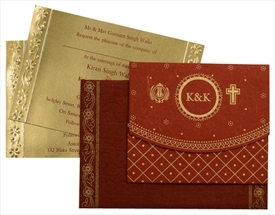 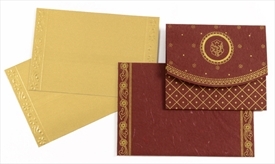 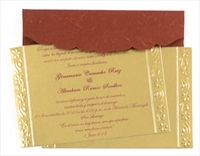 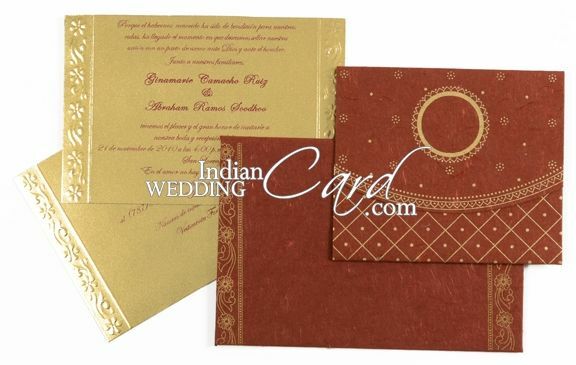 D-721, Red Color, Handmade Paper, Light Weight Cards, Designer Multifaith Invitations. 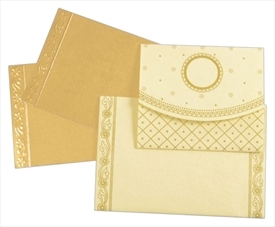 The front of this card comprises of the two folds with the upper fold having a floral base in gold and an image window in the canter with the space for the symbol of your choice. 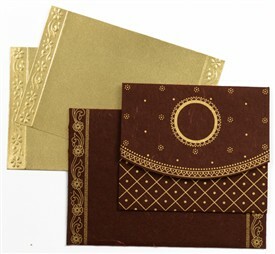 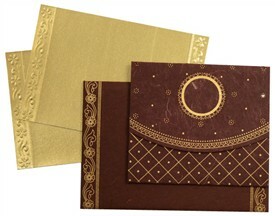 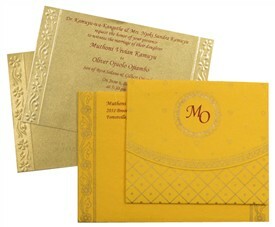 The lower fold has a golden printed grid base with polka dots. 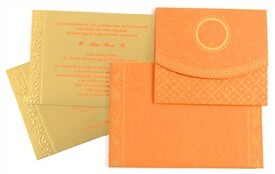 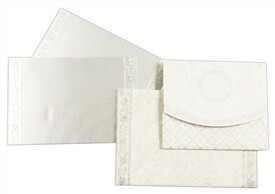 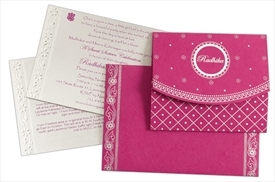 The inserts have self-embossed floral border. 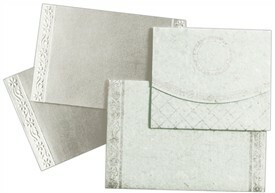 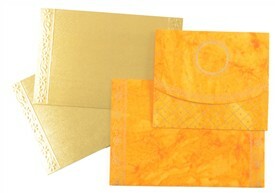 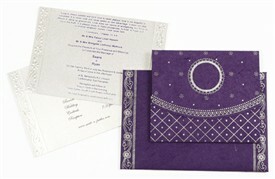 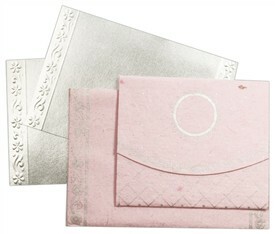 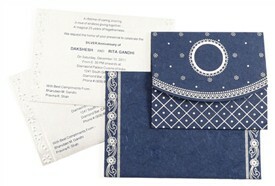 The envelope has silver printed floral borders.